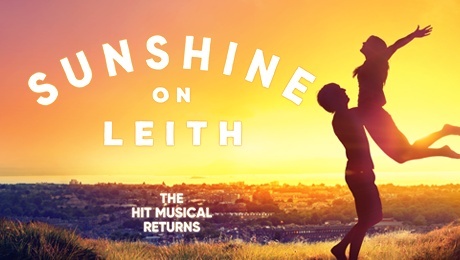 Written by Stephen Greenhorn with music by The Proclaimers, Sunshine on Leith returns to Glasgow for 6 nights from 18th June to 23rd June 2018. Follow the highs and lows of Ally and his friend Davy as they return home to Leith from the army. Families, friendships and life are not plain sailing in this funny and moving story about love and life. With stunning songs including I’m Gonna Be (500 miles), Sunshine on Leith, Letter From America, and I’m On My Way this energetic piece of musical theatre is loved by audiences and critics alike. Directed by James Brining and a West Yorkshire Playhouse production. An extraordinary, wide-ranging and fast-moving piece of family drama, firmly and lovingly set in the urban landscape of Edinburgh and Leith. The Proclaimers are a Scottish duo, identical twin brothers Charlie and Craig Reid. They are best known for their songs “I’m Gonna Be (500 Miles)”, “I’m On My Way” and “Letter from America”, as well as their singing style with a Scottish accent. The band tours extensively throughout the world. They have released ten studio albums since 1987.